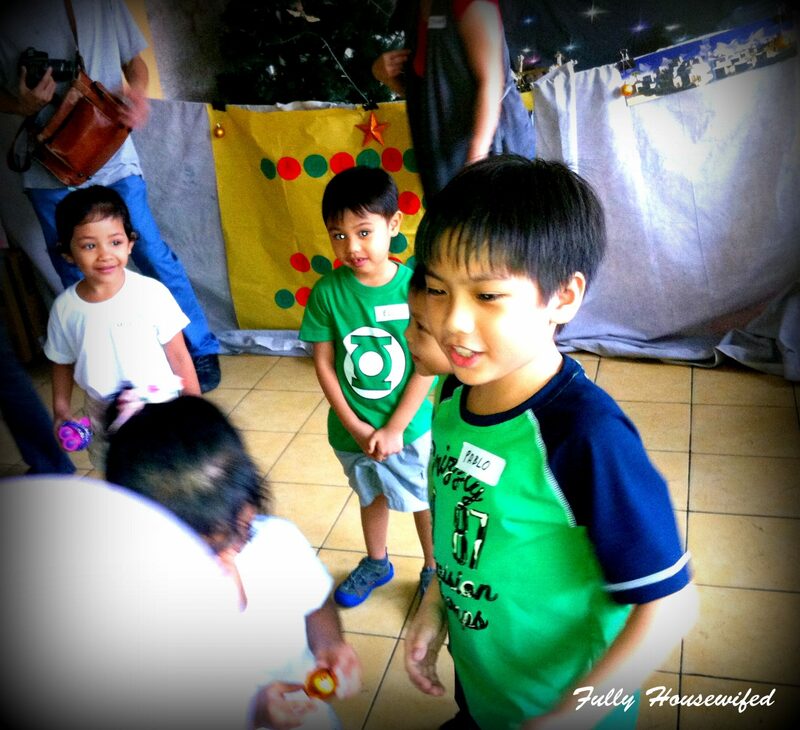 We had three Christmas parties scheduled on that day – the kids’ Christmas party with other home schoolers at their MAPEH classes, the staff Christmas party at Jay’s workplace, and this one. Our company’s Philippine team have decided to join a group of home schooling families from the South in hosting a Christmas party for the kids of St. Rita Orphanage in Paranaque. It was a bit of a tough decision because the other two Christmas parties were just as important as this one, but it was the opportunity to take part in bringing joy to children without families that tugged at our hearts more. 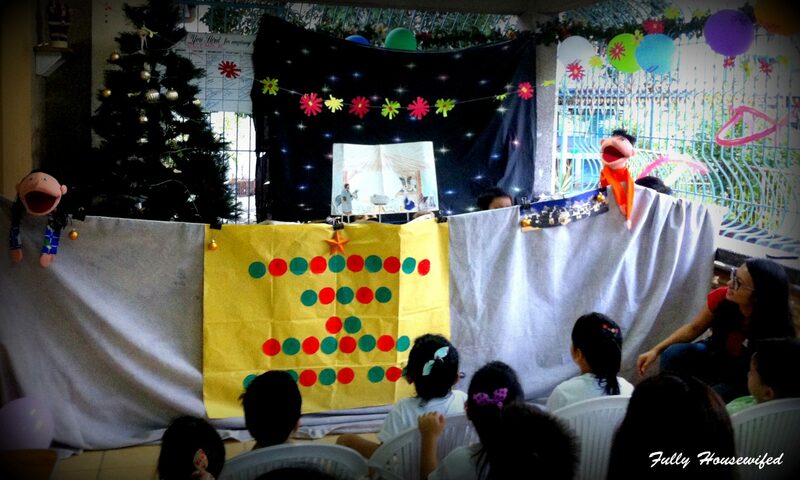 A puppet show and more…. Most of the preparations were made by the other families in the group. What I had the privilege of doing was writing the 10-minute script for the puppet show for an audience of 4-6 year olds on the birth of Jesus Christ. I was really humbled to have been able to do this. It wasn’t my first time to write a script for kids since the Kids Ministry is our passion and our calling, but to be able to write for these little ones was just so…I didn’t deserve it but the LORD allowed me the opportunity to bless these little ones with my writing and I gave it all my heart. 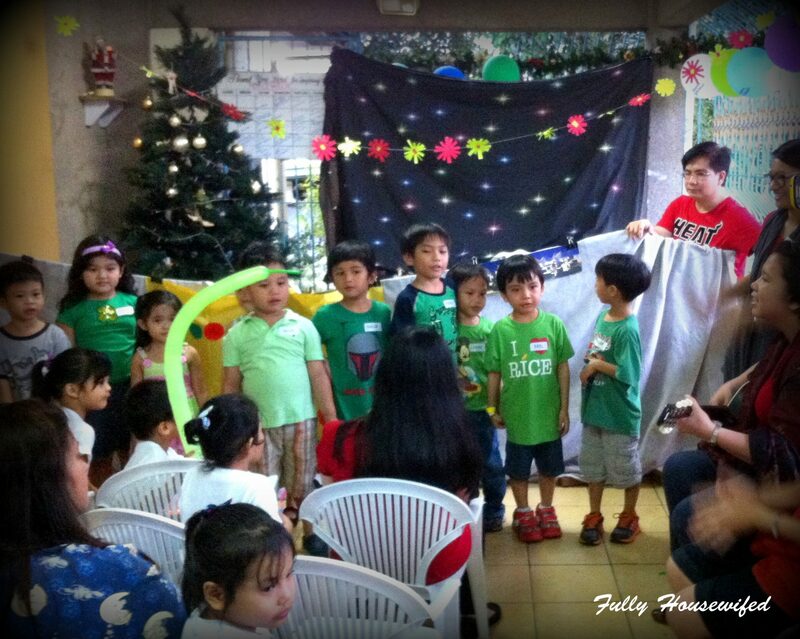 There were games and prizes, and the kids were asked to sing a couple of songs for the adorable children of St. Rita. I felt so proud of our eldest son, Pablo, who stepped up and really helped out in the games. When the kids didn’t have anyone to partner with, he willingly stood up to team up with them. And he went forward to lead everyone in prayer before they all ate together. I was surprised by his prayer. 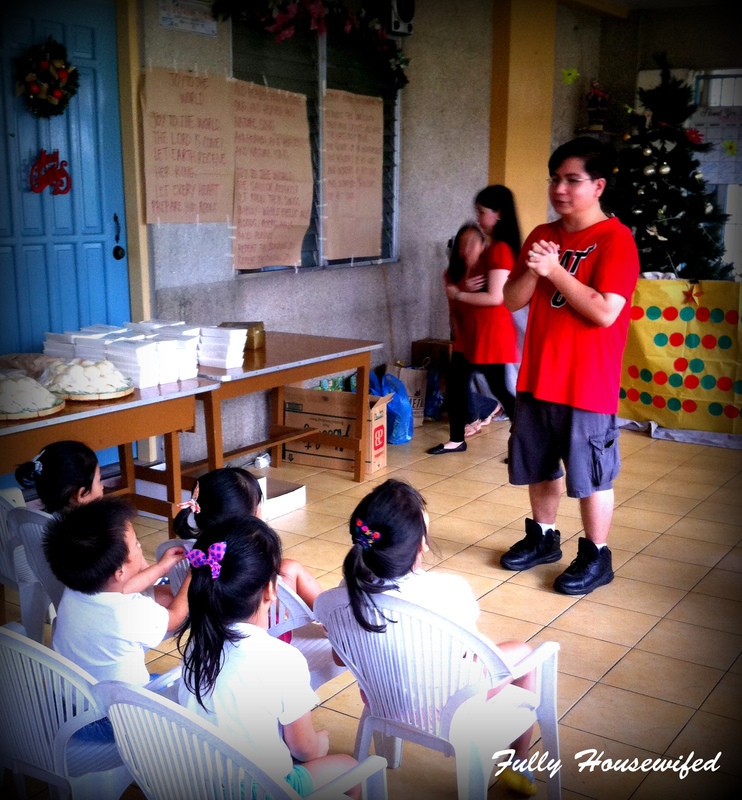 He prayed for the children at the orphanage to have families of their own. It gave me peace to know that my son’s heart is in the right place and is fully aware of the little orphans and their circumstances. Lukas didn’t understand much yet why we were there, but I’m glad that he participated in the games and played with whoever wanted to play with him. I guess in his own little way, he’s able to serve the children of St. Rita. And when he was outside eating his spaghetti with his dad and Judah at the swing, he hurriedly ran back when he heard that it was time to do their song number. I don’t know much about St. Rita, but from what I’ve been told, the kids are only as young as six years old and below. The place is very well kept, with volunteers in uniform, helping out in taking care of the children – feeding them, playing with them, bathing them, and making sure that they are provided their basic needs. If you want to know more on how you can help the children at St. Rita orphanage in Paranaque, click this link to visit their official website. 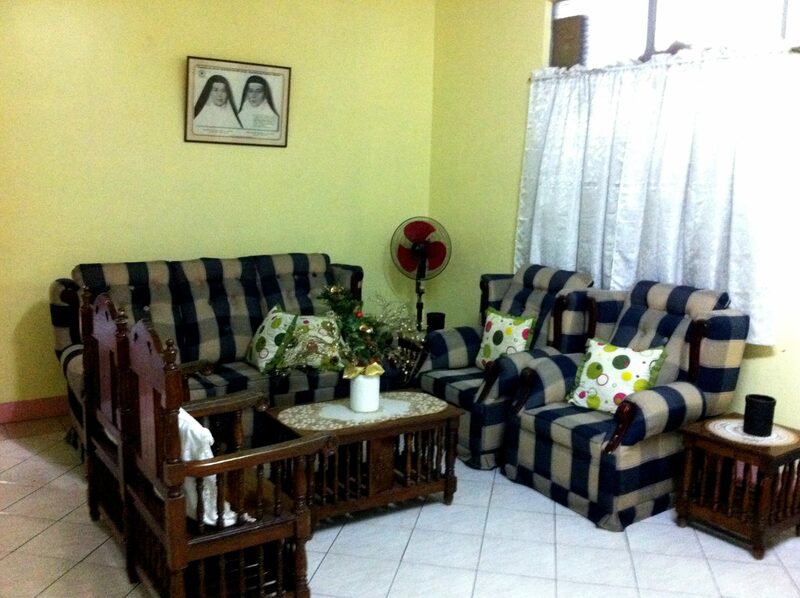 More details on St. Rita orphanage on Every nook and cranny. Unlike other Christmases, we weren’t able to go to too many fun places this year, but that’s alright. 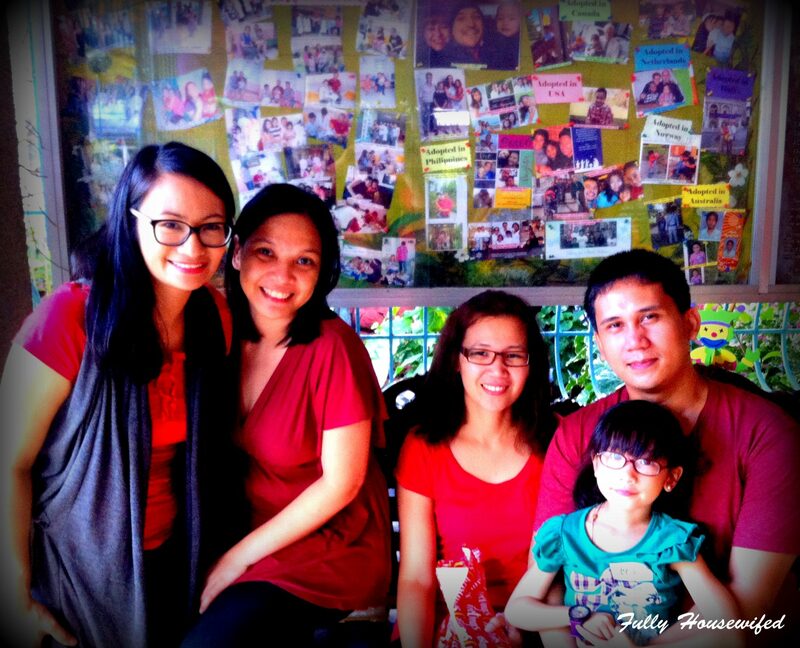 God has his way of making our family’s Christmas more meaningful and memorable. There were so much to learn from the visit at the orphanage. We all learned to give of ourselves, be thankful for family, appreciate the things we can easily take for granted and to be expectant for others, that they, too, will find the hope that that we have (1 Peter 3:15). 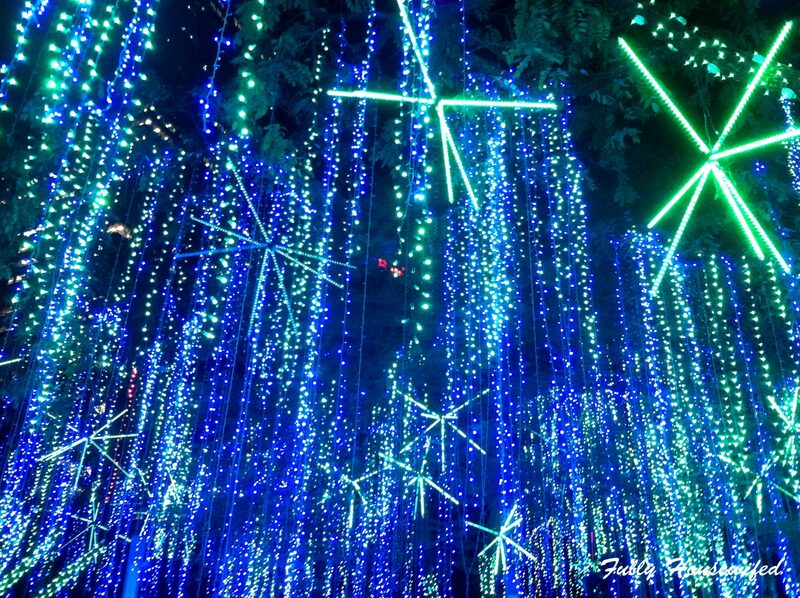 And since we’re on the subject of joy and contentment, let me just share with you about the Lights show at Ayala Triangle. 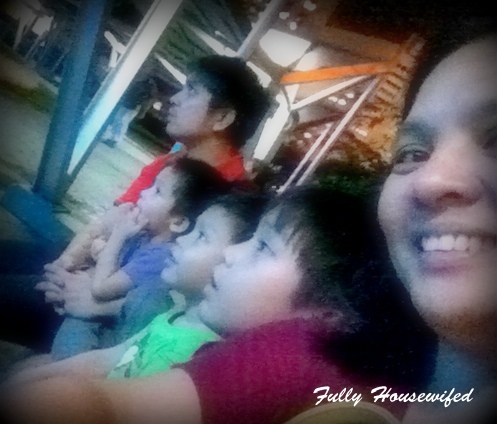 Since we took the van back to Makati, we decided to take the kids to see it as a treat. It’s nice, you won’t see it often, and the best part is that it’s free. There weren’t as many people as the last time we visited and we found a comfortable place for all of us to sit together and appreciate the dancing lights. We waited for a while, and when it finally came on, I looked at my children and I saw just how amazed they still are. Now if only we can see our lives through eyes like theirs…. 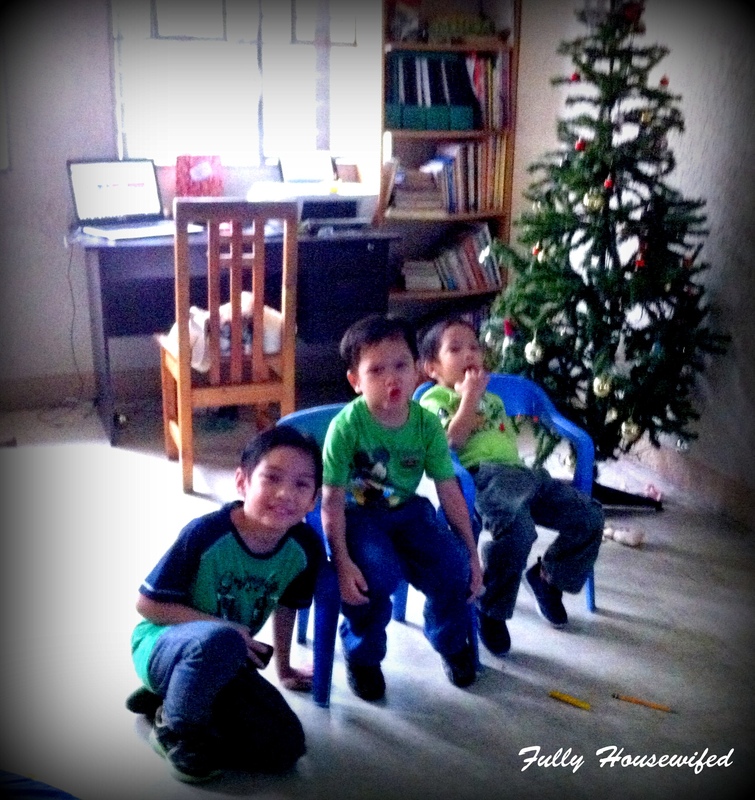 I was planning to spend Christmas in the orphanage near our place however, there were already many groups scheduled. Hopefully, next year, I’d be able to spend time with them. I hope other families (even companies) would also think of the orphanages and other organizations that needs our help too. You were really able to warm the heart of kids in the orphanage. This is really a great way to spend Christmas. I’m happy to see that, in simple ways, you became a blessing to others. Very inspiring, I will put this on my planner for next year’s Christmas. Giving back in Christmas is a best gift. 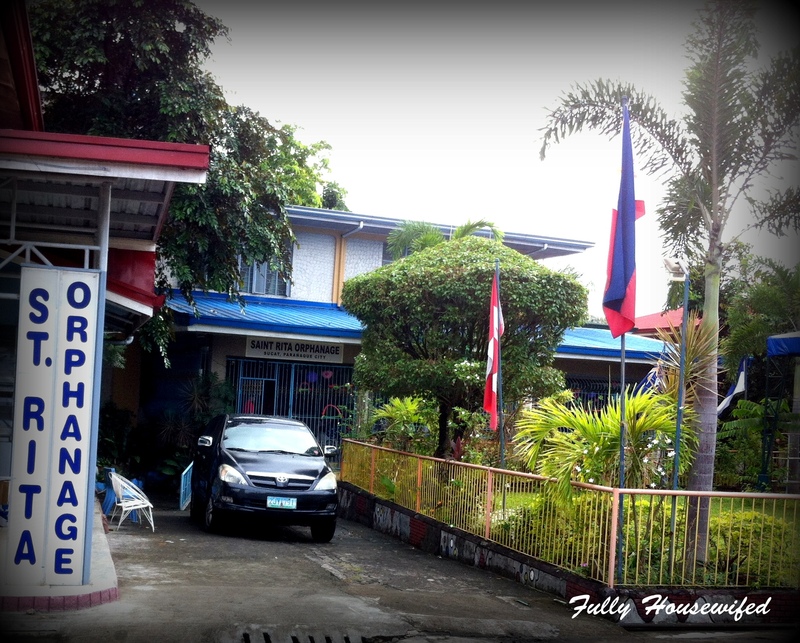 My two younger brothers used to study in St. Rita College during their grade school and high school days but I didn’t know they had an orphanage too. It’s really nice of your family to do something great for the orphans there. That’s what Christmas is all about. I felt proud on how you teach your children with life lessons. usually, kids will take a look on these things as a routine for every year. That was one great experience for your kids. I’d love to take my daughter one day to an orphanage, perhaps celebrate her birthday there when we have more financially. It would be a great experience for all three of us, too. We are all introverts and having too many people around exhaust us easily. Hahaha! Great lights, too. We didn’t get to tour around the city to see the lights this year since my dad got sick and the partner doesn’t know how to drive yet. Perhaps next year. I hope to do a similar activity with the kids soon. It’s nice to be able to help out and spend time with those who need it. Naku Mommy Jen, if you saw the wall with the pictures of the kids that had been adopted already, happy with their new families, maiiyak ka lalo. What a wonderful way to show the kids what Christmas is all about May! I think the first and last time I went to an orphanage was before I got married. I have to accompany my mother there and little did I know, matagal na pala siya nagdodonate dun so we were surprised na binigyan siya ng certificate of recognition. 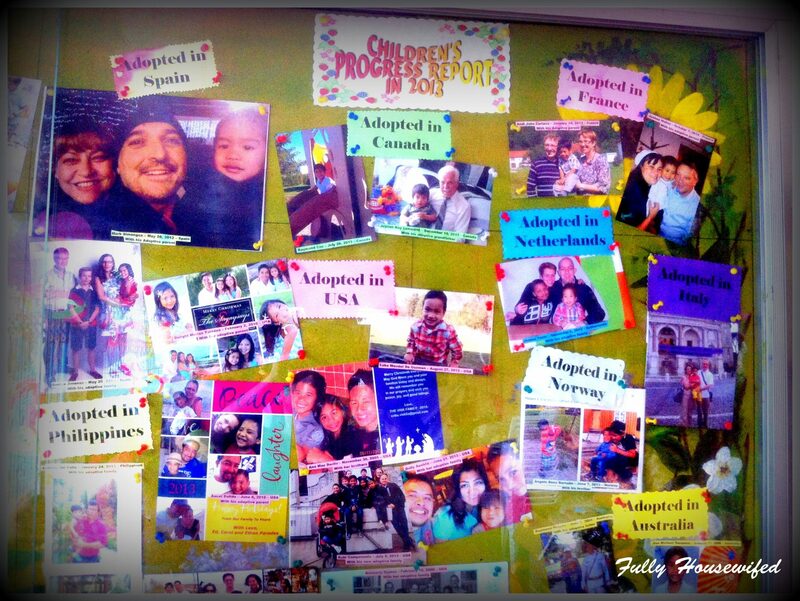 I hope someday, I can bring my son in an orphanage too. 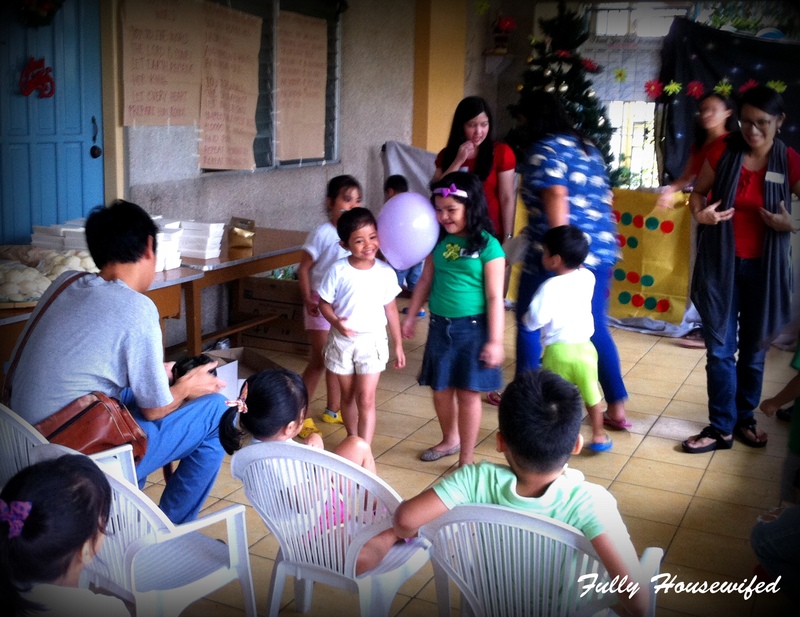 Sharing the experience of celebrating Christmas with the orphans is truly a one of a kind. I pray that all the orphans will have the opportunity of being part of a loving and caring family. Great example for the kids. We have a Christmas tradition here at home too where we celebrate it with less fortunate kids on the block. This sounds really lovely..
I’ve thought of that for a long time, but I’m scared of ending up inviting the wrong people. Times are different now. In the 80s, when I was a little girl, you can invite anyone who comes to your door inside your house and you know you won’t be mugged. How heartwarming. This is one of the things I’d really like to do: serve children. I pray to have this kind of opportunity; you are truly blessed. Merry Christmas, May, and Happy New Year! Your family Christmas has become more meaningful and more memorable because you spent time with the kids at St. Rita Orphanage. Jesus is smiling down on all of you. Merry Christmas and Happy New Year to your beautiful family! Christmas is really for kids! I’m sure the kids will always remember this Christmas. Christmas is such a magical time for kids. 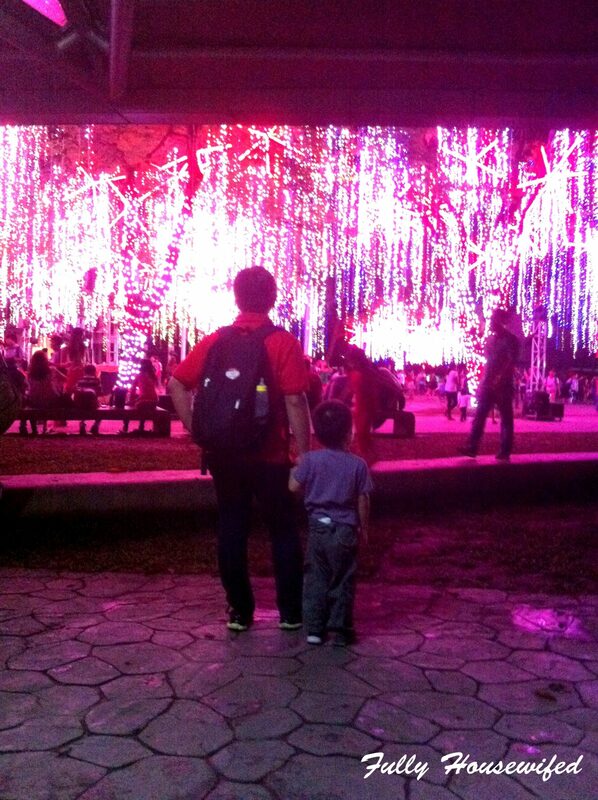 Love how enthralled they were with the light show! I want to teach my daughter how to give back too. Kudos to you for teaching your kids at an early age. 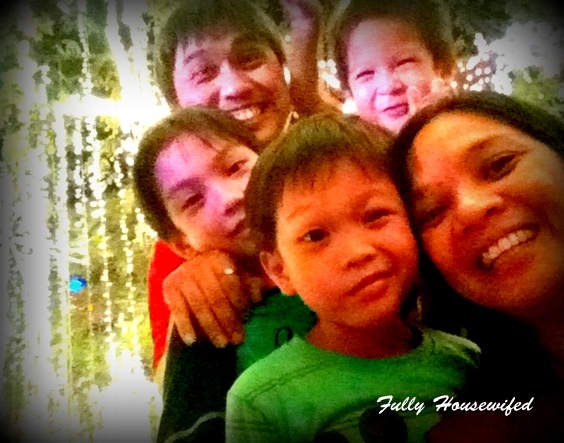 Pingback: Christmas Traditions 2014: Our little Christmas Tree | Fully Housewifed! Pingback: Christmas Traditions 2014: The Fireplace | Fully Housewifed! Pingback: Christmas Traditions 2014: Storytelling night | Fully Housewifed! Pingback: Christmas Traditions 2014: No bake Choco Banana Cream Pie | Fully Housewifed! Hi! I'm May. I'm a Bible-believer, a committed wife and mom, a home-schooling parent & a dreamer. 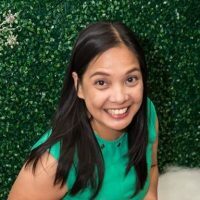 I'm also a writer, a retired musician, a stage mother, a personal finance advocate, a revived bibliophile, a movie enthusiast, and a TV series addict. Welcome to my virtual home!